Bungoma Senator Moses Wetangula was on Tuesday involved in a bitter exchange with the ODM party after he assured all NASA affiliate parties will get a share of the Political Parties Fund. “ODM behaving like a gigolo that’s suffering from chronic syphilis. Queens or kings, Wiper, Ford Kenya and ANC must and will get their share of the PPF,” the legislator said on Twitter. “Those wailing louder than the bereaved were nowhere when we were staking out our all for Raila. Bure kabisa(very useless),” he continued. Odm behaving like a gigolo that's suffering from chronic syphilis! Queens or Kings, Wiper, Ford Kenya & Anc must and will get their share of the PPF. Those wailing louder than the bereaved were nowhere when we were staking out our all for Raila. "Bure kabisa!" This was after ODM secretary general Edwin Sifuna said the money only belongs to ODM and Wetangula nor his Ford Kenya party had a claim a share of the money. “Ford Kenya has no locus standi. The money belongs to ODM and it is the party which will decide what to do with it. There is nowhere it is agreed that we share money with anybody,” Sifuna maintained. In fact, he noted, whatever Ford Kenya contributed to the NASA coalition “has been negated by their propaganda and slaying with Deputy President William Ruto”. If the provisions of the Political Parties Act, 2011 on the qualification and distribution of the Fund, then Kalonzo Musyoka’s Wiper Party and ODM have a claim to the fund. The Act states that a party will not benefit from the fund if it does not have twenty elected members of the National Assembly, three elected members of the senate, three elected members who are governors; and 40 members of county assemblies. Ford Kenya has one member in the Senate, 12 Mps and two governors while ODM has 73 MPs, 20 senators and 13 governors and Wiper has 21 MPs, 3 senators and 3 governors. 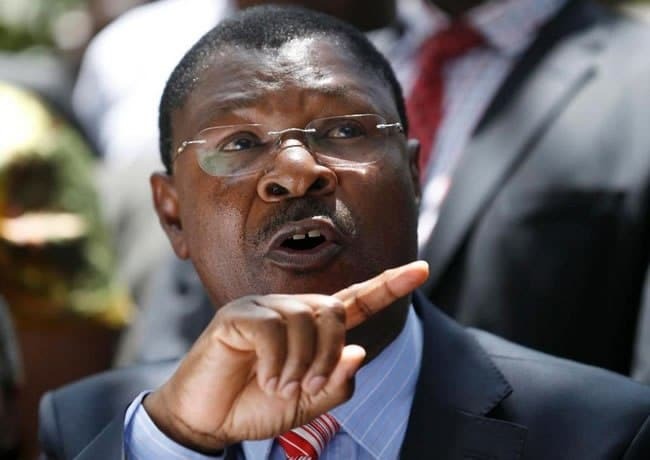 Wetangula had a falling out with the ODM party after its senators ousted him as the Senate minority party, something he says was orchestrated by Raila Odinga.